Diane (Dee) Tedick is an Associate Professor in Second Languages and Cultures Education in the Department of Curriculum and Instruction at the University of Minnesota. A teacher educator, Professor Tedick focuses on the professional development of both preservice and inservice teachers representing a variety of second language teaching contexts: world languages, English as a second language, and bilingual and immersion programs. She has worked on a wide range of teacher development projects within CARLA including the Minnesota Articulation Project, the Critical Languages Project, the POLIA (Proficiency-Oriented Language Instruction and Assessment) Train-the-Trainer program, and several initiatives related to immersion education, including the development of a national network for immersion teachers (American Council on Immersion Education) and research on immersion teaching. Diane Tedick served as the coordinator for the Content-Based Language Teaching through Technology (CoBaLTT) Project (1999-2006) and the faculty coordinator for Immersion Projects (2006�2018) that were housed at CARLA. 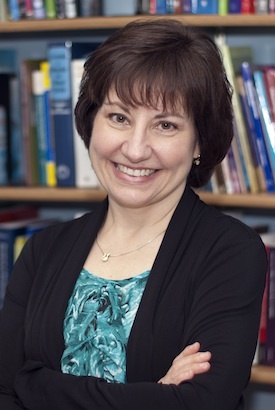 Her main research interest focuses on the pedagogy required for the successful integration of language and content instruction, particularly in language immersion contexts, where a world language (e.g., French, Spanish, Yup’ik) is used as the vehicle for teaching academic subject matter. She is also interested in teacher development in second language contexts and teacher development in relation to diverse student populations. Ph.D. 1988, The Ohio State University, Columbus, Ohio. "The Effects of Topic Familiarity on the Writing Performance of Non-Native Writers of English at the Graduate Level." Associate Professor, Second Languages and Cultures Education, Department of Curriculum and Instruction, College of Education and Human Development, University of Minnesota, Twin Cities. Assistant Professor, Second Languages and Cultures Education, Department of Curriculum and Instruction, College of Education and Human Development, University of Minnesota, Twin Cities. Assistant Professor, Foundations, Curriculum, and Teaching Program, Graduate School of Education and Allied Professions, Fairfield University, Fairfield, CT (Specialization Coordinator of TESOL, Foreign Language, and Bilingual/Multicultural Education, Fall 1988 - Summer 1990). Bigelow, M. & Tedick, D.J. (2005). Combining foreign and second language teacher education: Rewards and challenges. In D. J. Tedick (Ed.) Second language teacher education: International perspectives (pp. 295-311). Mahwah, NJ: Lawrence Erlbaum Associates, Inc.
Klee, C. A., & Tedick, D. J. (1997). The undergraduate foreign language immersion program in Spanish at the University of Minnesota. In S. B. Stryker, & B. L. Leaver, (Eds.) Content based instruction in foreign language education (pp. 141-173). Washington, D. C.: Georgetown University Press. Tedick, D. J. (forthcoming). CoBaLTT: A resource to support integrated content and language instruction. In J. Davis (Ed.) Advances in foreign and second language methodology instruction. Greenwich, CT: Information Age Publishing. Tedick, D. J. (Ed.). (2005). Second Language Teacher Education: International Perspectives. Mahwah, NJ: Lawrence Erlbaum Associates, Inc.
Tedick, D. J. (Ed.). (1997). Proficiency-Oriented Language Instruction and Assessment: A Curriculum Handbook for Teachers. Minneapolis, MN: Center for Advanced Research on Language Acquisition, University of Minnesota. Tedick, D. J., & Tischer, C. A. (1996). Combining immersion experiences and pedagogy for language teachers: Lessons learned and changes implemented. Foreign Language Annals, 29(3), 415-427. Tedick, D. J., & Walker, C. L. (1996). R(T)eaching all students: Necessary changes in teacher education. In Barbara H. Wing (Ed.) 1996 Northeast Conference Reports-Foreign languages for all: Challenges and choices (pp. 187-220). Lincolnwood, IL: National Textbook Company in conjunction with the Northeast Conference on the Teaching of Foreign Languages. Tedick, D. J., & Walker, C. L. (1995). From theory to practice: How do we prepare teachers for second language classrooms? Foreign Language Annals, 28(4), 499-517. Walker, C. L., & Tedick, D. J. (2000). The complexity of immersion education: Teachers address the issues. Modern Language Journal, 84(1), 5-27. Walker, C. L., & Tedick, D. J. (1994). Creating a culture of reform and reflection: Making changes in teacher education. Teaching Education, 6(2), 81-95.